Radiator and TSRO are incredibly proud to bring you an extraordinary night of poetry on Tuesday, 17 January in the 9 Bar, upstairs in The Workman’s Club. 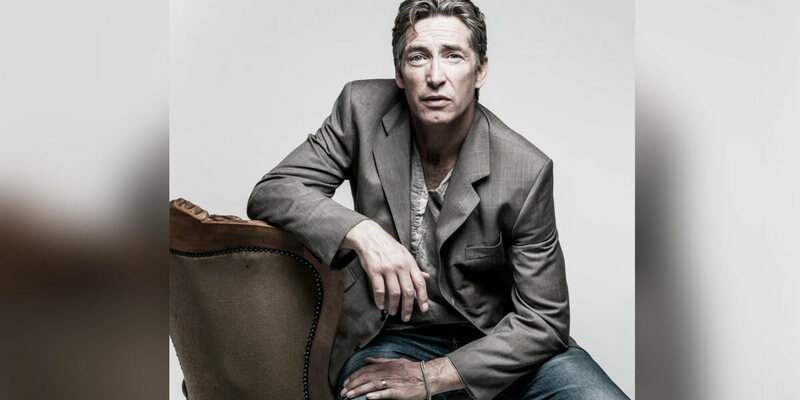 Critically acclaimed and ground-breaking poet, Mike Garry, will be performing his poetry live. His work focuses on the city of Manchester and its people, championing the underdog and finding beauty amongst the ugliness and triumph amongst tragedy. Shaun Ryder of Happy Mondays recently described Mike’s poetry as ‘the best street poetry I’ve ever heard’ and iconic designer Peter Saville described Mike as ‘a genius’. Mike Garry was a librarian for 15 years before becoming a poet. His work with Manchester Libraries began with the development of Study Support Units or ‘Homework Centers’ throughout Manchester’s local library network. The units were simply a safe space for young people to get help and support with homework with a strong emphasis on reading. But they were much more than that and quickly became hubs for creativity, support, literacy and learning. His work with young people in inner city Manchester won him awards from the Princes’ Trust and the National Literacy Trust and along with Rio Ferdinand, Ashley Cole and David Beckham, Mike became a ‘Champion Reader’ recognized for his work in promoting reading to young people. His poetry career began when he started to read his poems to the hundreds of young people he worked with during study sessions. They loved what hey heard and encouraged him to perform at live poetry events and Slams, which he did, instantly winning prizes throughout the UK. Mike started performing his poems in Prisons, Young Offenders units, Mental Health Hospitals, Children’s Homes and local pubs. He was passionate about bringing live poetry to places it wouldn’t normally reach, giving people a voice and using poetry to be that voice. He was Poet in Residence at Strangeways Prison, and has works closely with Manchester United, the BBC, The Barclays Premier league, Manchester Museum of Science and Industry, Manchester Art Gallery and works at literature festivals throughout the world. His poetry is regularly heard on BBC Radio 5 Live, Radio 4, BBC Breakfast, Match of the Day, Sky TV and his work with Manchester United has truly elevated Mike’s poetry to an international audience. Mike has toured with John Cooper Clarke for 6 years performing in over 500 venues throughout the UK, US and Europe. Mike recent musical collaborations include working with New Order and performing with Iggy Pop, Patti Smith and The National in New York’s Carnegie Hall for the Tibet House Charity. This is where the classical composer Philip Glass first heard Mike and fell in love with his words and invited him to work collaboratively to create some new musical pieces. The combination of Mike’s poems and Philips music have been a great success, with live performances in Europe and The United States. Mike’s collaboration with composer Joe Duddell has had amazing reviews and has been the highlight of festivals throughout the summer of 2015/16. His Ode to Tony Wilson, ‘St. Anthony’ was Number One in 3 Official UK Charts in August 2015 and the video was viewed by over a million people in it’s first month of release. Mikes four books – Men’s Morning, Mancunian Meander, God is a Manc and Men’s Mourning have become schemes of work in hundreds of British schools, received wide critical acclaim and are regularly read on TV and Radio. An ex-student of the Manchester Metropolitan University receiving a BA (Hons) in Library and Information Studies, Mike still does regular talks to students on this course, the creative writing course and with trainee teachers as well as working with 10,000 young people in schools throughout the UK. Dr. Mike Garry is Associate Fellow and Artist in Residence at the University of Westminster in London and was awarded an Honorary Doctorate from Manchester Metropolitan University for his is work in 2015. Special guest on the night will be Lewis Kenny. Lewis is one of the rising stars of the ever-growing Irish performance poetry scene; his uncompromising rhymes confront the issues facing our communities, drug culture, the unforgiving highs and lows of being a dedicated football nut… and everything else in between. Such is his passion for ‘the beautiful game’ that he was appointed the first ever Poet in Residence at a League of Ireland club (Bohemians).